Waves between two to four feet and a breeze that varied from 4-8 knots resulted in a tough challenge for all involved – but the conditions allowed for racing. 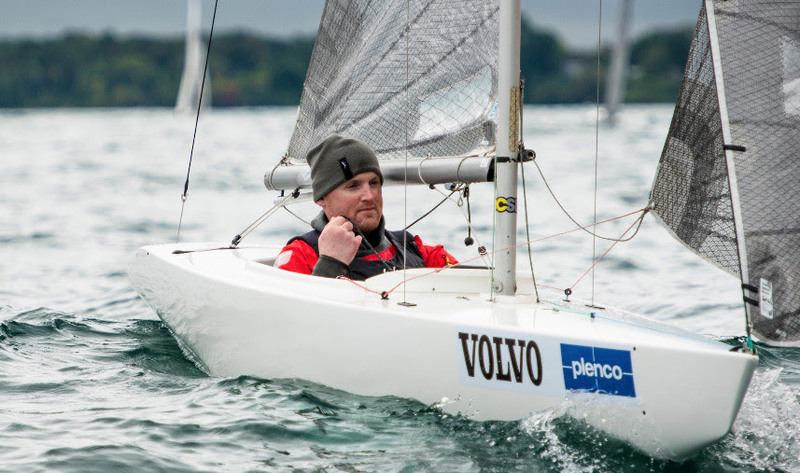 The leaderboards in the 2.4 Norlin OD and the Women’s Hansa 303 evolved, Gian Bachisio Pira and Gialuca Raggi (ITA) qualified for the RS Venture Connect final and gold fleet racing started in the Men’s Hansa 303. “It was really tricky today,” explained Bugg on the day’s conditions. “There was not a lot of wind and quite a large sea state. Germany’s Heiko Kroger is in fourth, 14-points off Seguin. After two qualifying days in the Men’s Hansa 303, the top 17 competitors advanced to the gold fleet. The results from the qualification days no longer count so effectively the competitors were starting from scratch. Ange Margaron (FRA) clinched the first race victory but could only follow up with an 11th in the second of the day. Poland’s Piotr Cichocki won the second race of the day but he was disqualified from the opening race of the day. Germany’s Jens Kroker leads on eight points, Margaron follows on 12 and Christopher Symonds (AUS) is third. Olga Górnas-Grudzien (POL) retained and extended her lead in the Women’s Hansa 303 even though she was across the line early in the opening race of the day. The Polish racer discarded her tenth for being OCS and then hit back with a race win to end the day ten points clear of Violeta del Reino (ESP). Will Street and Jonathan Currell (GBR) will join Alexandra Rickham and Hannah Stodel (GBR) and John McRoberts and Scott Lutes (CAN) in the winner-take-all RS Venture Connect final. The British team protested Italy's Gian Bachisio Pira and Gialuca Raggi (ITA) at the end of the day and the Italians were adjudged to have broken the rules which saw them drop from top spot. The Italians and three other teams will have one final chance to qualify for the final on Friday. Friday will be the penultimate day of the competition and racing is scheduled to start at 10:00 local time.